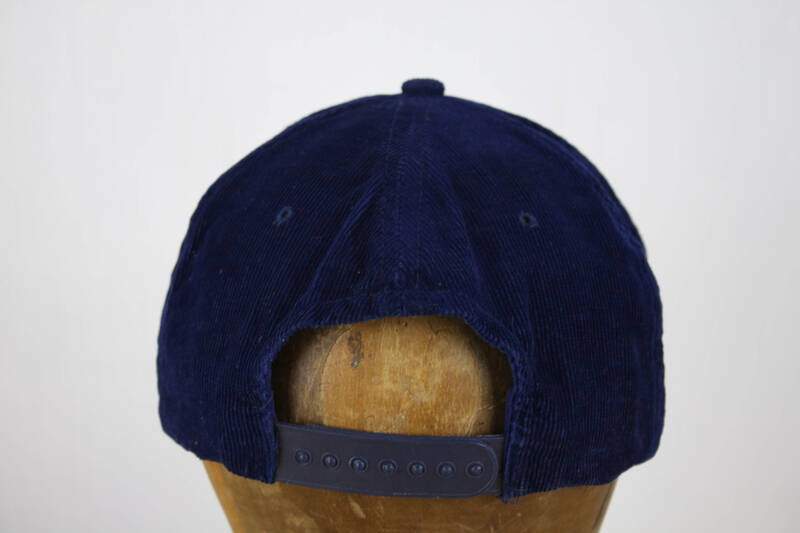 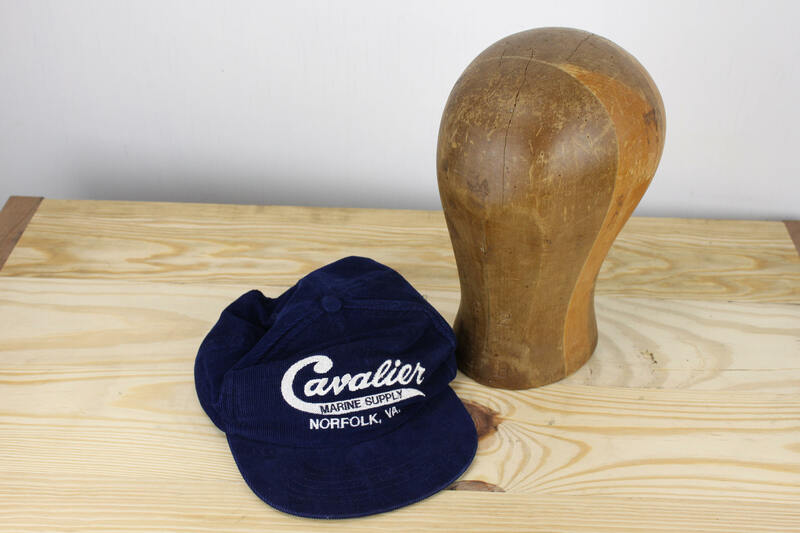 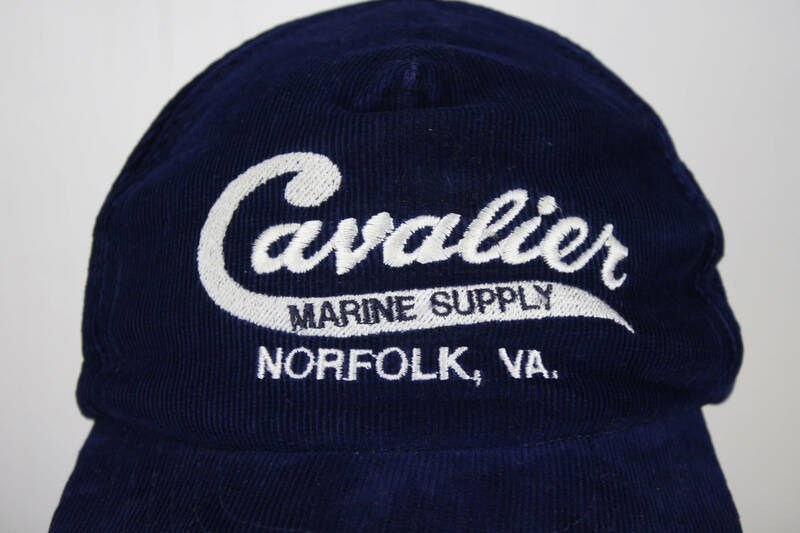 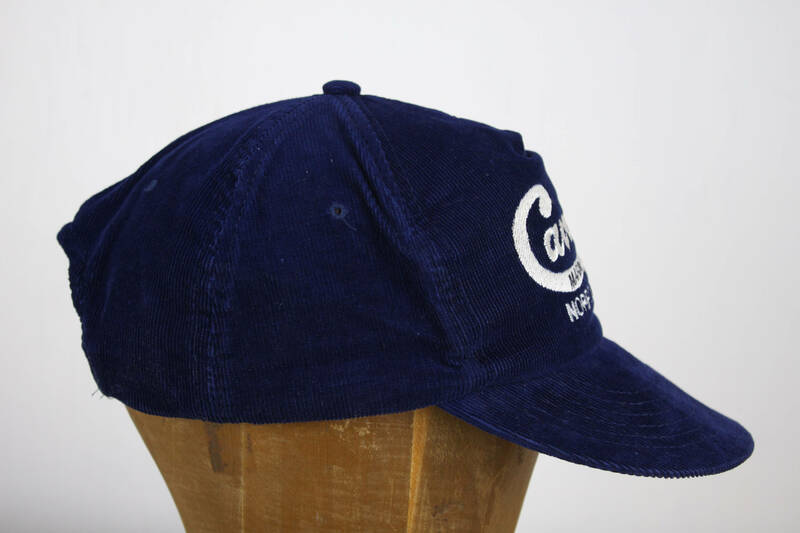 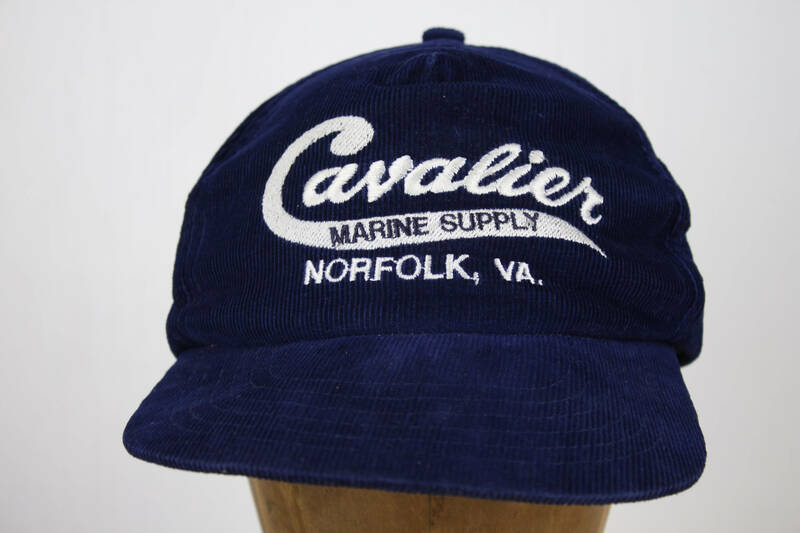 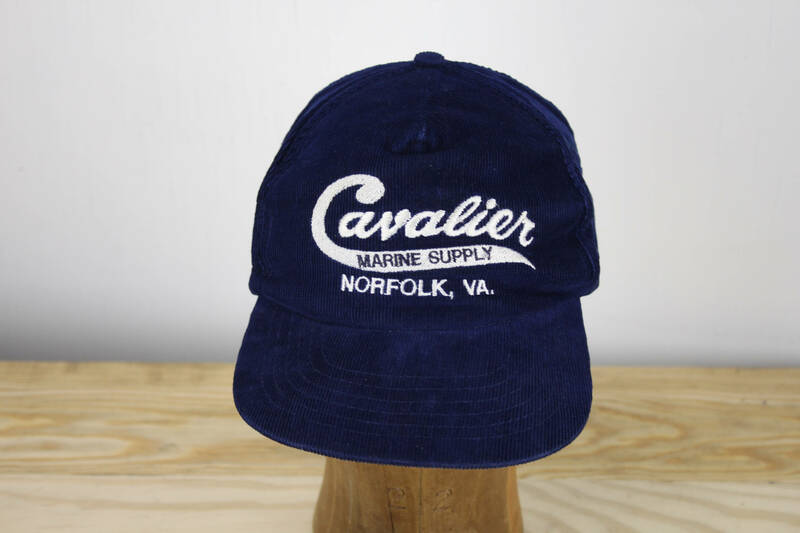 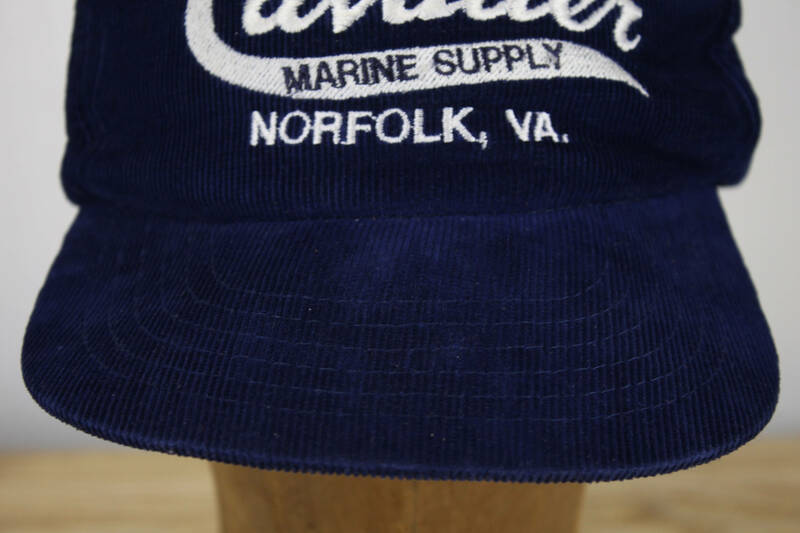 This blue corduroy hat is a wonder of the vintage workwear genre! 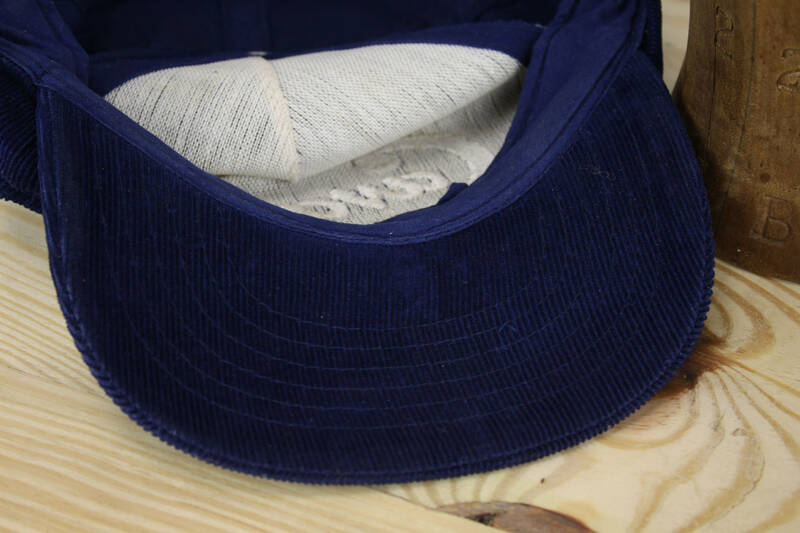 Made from 100% heavy cotton corduroy with brilliant white embroidery and complete with a plastic strap - this hat is everything you need to fulfill your deepest hipster dreams! 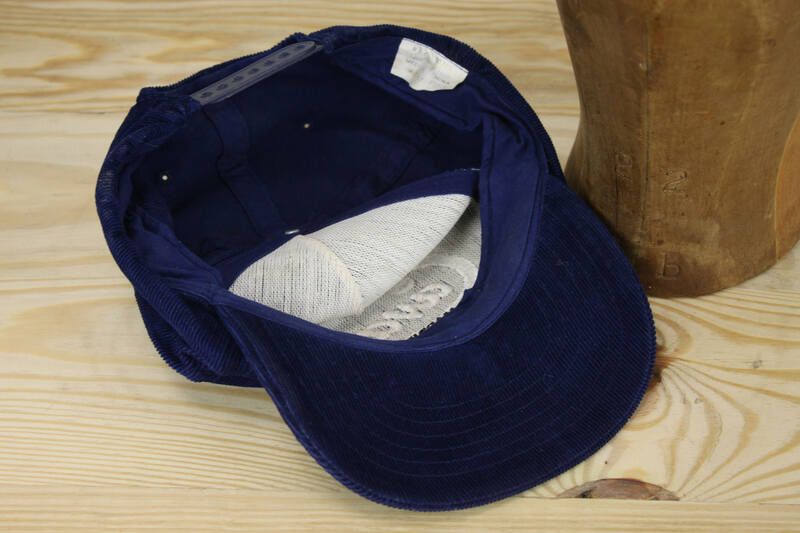 The hard backing of the brim has deteriorated over time - this has led to the brim being extremely flexible. 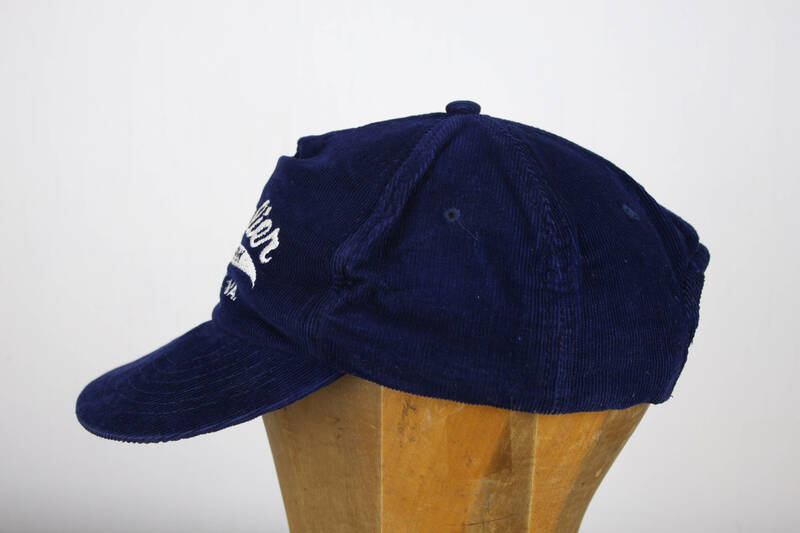 If you are looking for the well worn look - Then this hat is for you!